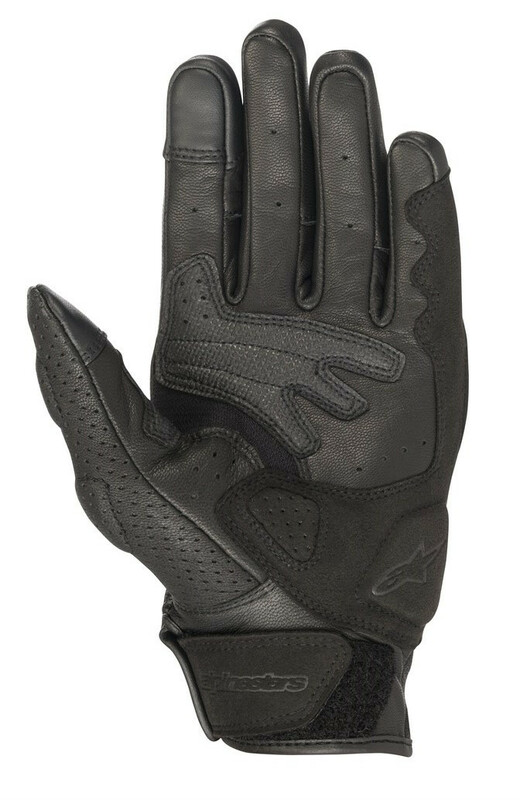 Featuring a newly evolved design with a new cuff closure and increased accordion stretch inserts, the CE certified Mustang V2 Leather Glove’s supple full leather main material is perforated for those hot days on the road, while the hard knuckle protector is subtly integrated into the glove urban styled chassis. 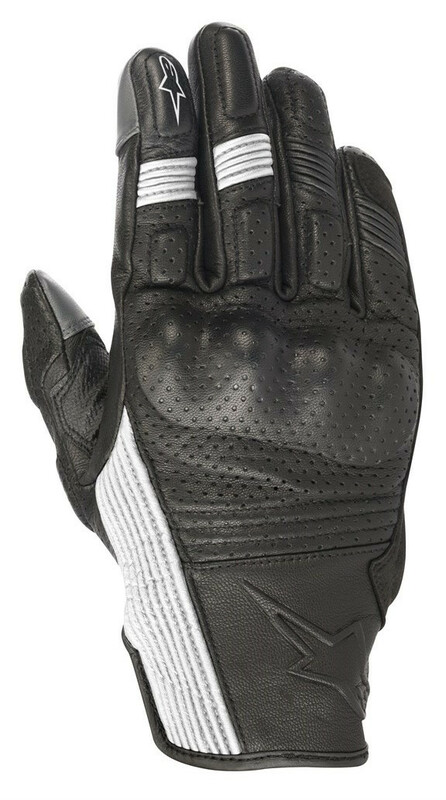 • Full premium leather main chassis construction, plus perforation zones for improved breathability. 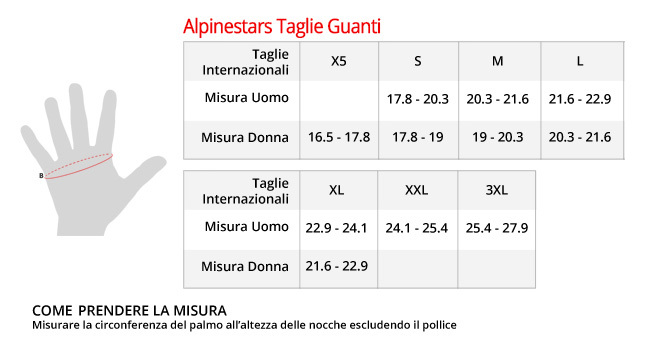 • Strategic synthetic suede reinforcements for durability, seam reinforcement and comfort. • Padding reinforcement on landing zones for fit and comfort. 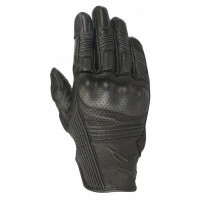 • Hard polymer knuckle protection offers class-leading abrasion resistance and is covered by leather for durability. • Stretch accordion inserts on fingers and sidewall for improved comfort. 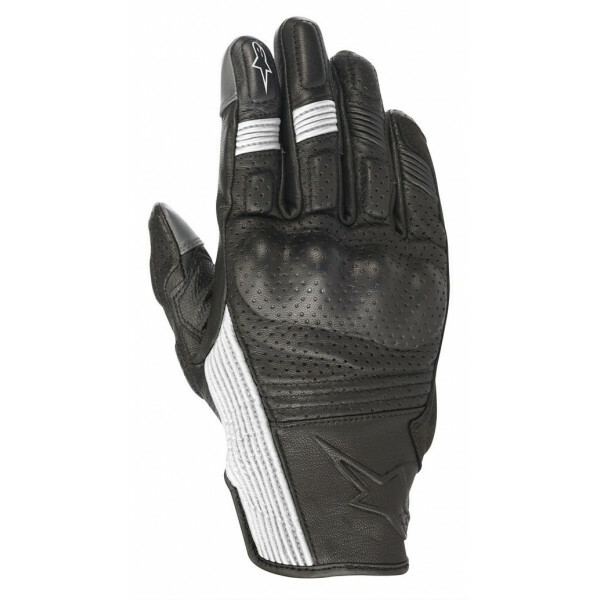 • Hook and loop grip wrist closure helps keep glove securely in position. 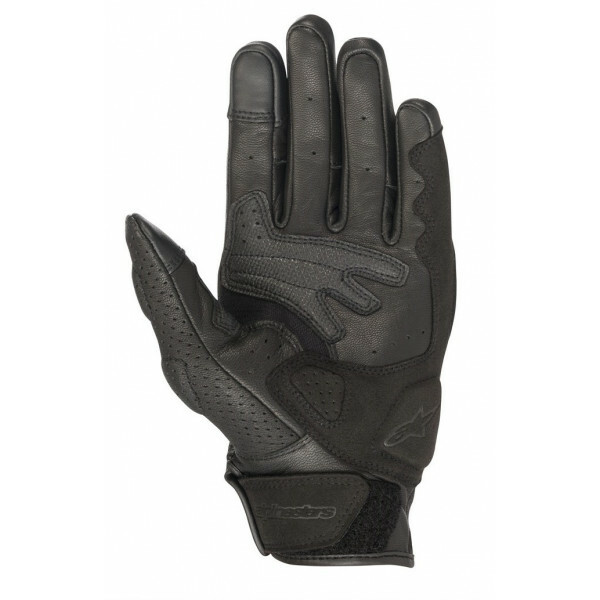 • Integrated foam padding 3mm on fingers helps fit and comfort. • Advanced poly blend thumb and palm reinforcement for a superior grip. • Simple urban styling with embossed logo.